Add all ingredients to a blender and blend until smooth. 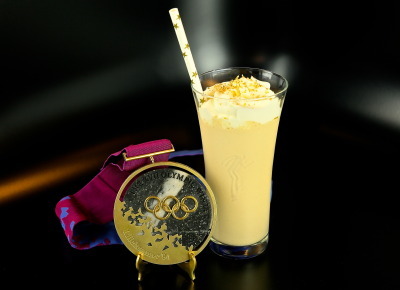 Pour into a martini glass or tumbler and top with whipped cream and crumbled peanuts or gold sprinkles. This cocktail is a real champion! 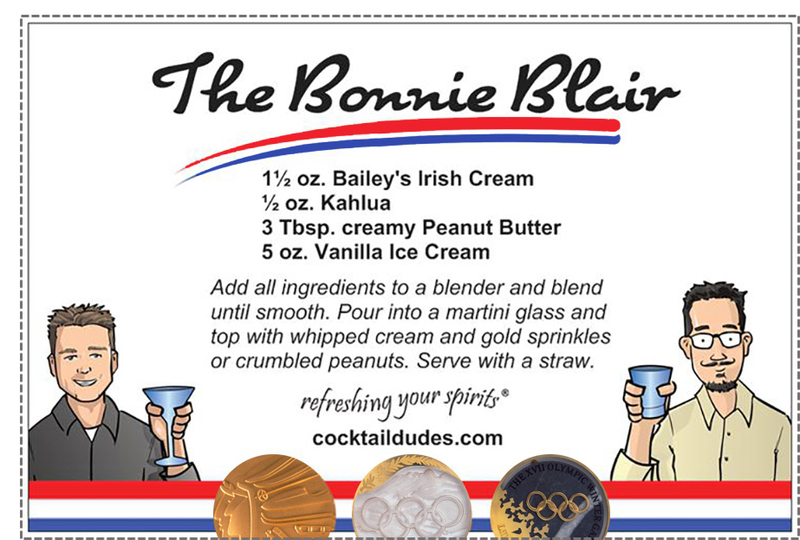 Created for the most decorated female Winter Olympic athlete in US history, the Bonnie Blair was inspired by Bonnie’s love of peanut butter and her famed career on the ice. Cold, smooth, and creamy, with a deliciously rich peanut taste, this delightful cocktail certainly deserves the gold. Few know that before each race, Bonnie would eat a peanut butter and jelly sandwich. And while we don’t recommend you drinking one of these before strapping blades to your feet and taking to the ice, it certainly is a tasty treat to enjoy by the fire afterwards. This winning combination of peanut butter and ice cream with Bailey’s and Kahlua will have you rising to your feet and cheering for more.